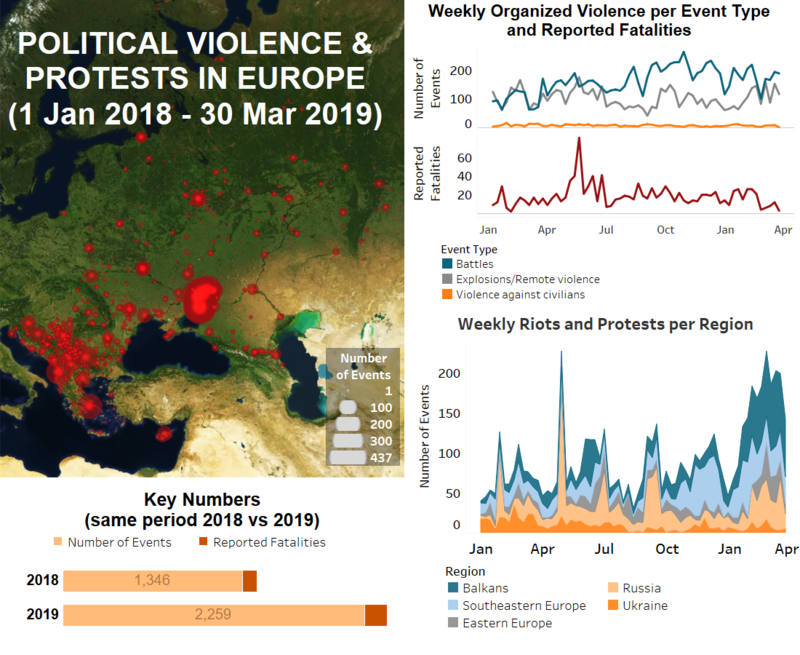 Demonstration events in Europe, which had risen sharply since early 2019, declined last week due to a reduction in KPRF protest events in Russia. Violent attacks on civilians and the number of reported fatalities in Europe again declined last week, after dropping late February and rising again during the first weeks of March. Conflict levels in the eastern Donbass region in Ukraine remained stable throughout March after a drop and immediate resurgence in late February. In the Balkans, Southeastern and Eastern Europe regions, anti-government demonstrations continued in Serbia, Montenegro, Albania, and Belarus. The vast majority of these were undisturbed peaceful protest events. In Albania a demonstration led to clashes with police and in Belarus several protests were disrupted by police with a dozen protesters arrested. In Romania, demonstration events held against both the government and judicial system changes continued to decline from its high in late February. A dozen labour group protests were held on a wide range of labour issues throughout the Balkans and Southeastern Europe. Protests were held on various other issues as well. In Bosnia and Herzegovina the ‘Justice for David’ protest against police brutality continued at a low level after country wide protests in late December 2018. In Serbia, nationalist groups held an anti-NATO march in Belgrade. In North Madedonia, transgender people marched in Skopje raising awareness about violence and discrimination they face. Attacks against civilian targets in the Balkans, Southeastern and Eastern Europe maintained low levels. 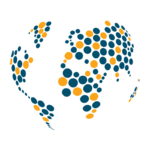 In Montenegro, a second reported attack against Croats over a short time period caused civil society actors to call for a national response on the issue of ethnically motivated violence (RTCG, 29 March 2019). In Serbia, four political parties reported attacks on their offices, causing only material damage. In Greece, Independence Day celebrations were marked by demonstrations against the Prespes Agreement on the Macedonia name dispute. Anarchist group activities continued with another series of attacks against riot police and an attack on the central Athens offices of Golden Dawn in Athens. In addition, Rouvikonas held demonstrations in Athens last week and is reported responsible for coordinated attacks on 13 supermarkets in Attica (To Vima, 28 March 2019). In Russia, overall protest event numbers declined sharply compared to last week as the KPFR organized fewer protests against the government reforms on pensions and waste management. On March 26 and 27, a large two-day demonstration took place in Ingushetia. Demonstrators opposed a land-swap deal with Chechnya, calling for a referendum and the resignation of Ingush leader Yunus-Bek Yevkurov. By some accounts around 10,000 people took part. On March 27, demonstrators briefly clashed with police (Meduza, March 27 2019). The demonstrators dispersed after they were promised that a new government sanctioned protest would be allowed at a later date. In Ukraine, fighting between Ukrainian government forces and separatist rebels in the Donbass region continued at levels similar to the week prior. Last week’s clashes resulted in one Ukrainian government soldier and four rebel fighters killed. Leading up to the presidential elections of 31 March, demonstration events in Ukraine increased slightly. National Corps Party continued to stage demonstrations against President Poroshenko and his involvement in a defence corruption scandal last week. Several hundred people attempted to disrupt a Poroshenko rally in Vinnytsia and clashed with police forces (AP, 27 March 2019).